Rick Ross played a mobster in US show 'Magic City' just last year. 12. Rick Ross played a mobster in US show 'Magic City' just last year. 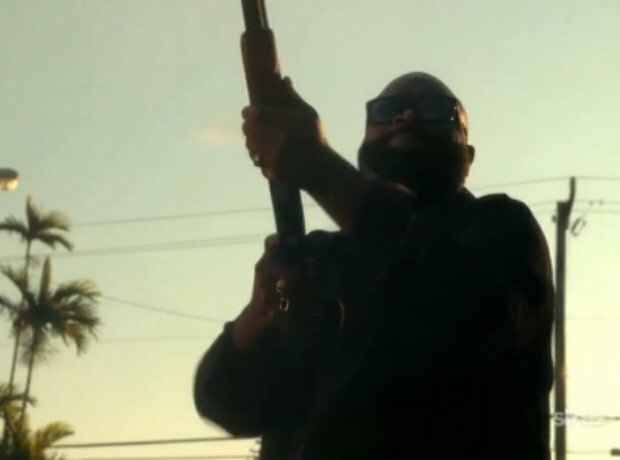 Just last year Rick Ross caused havoc in an incredible gun scene in as character Butterball in US show 'Magic City' - a drama centered on Miami mobsters and other characters from Miami Beach in the late 1950s.